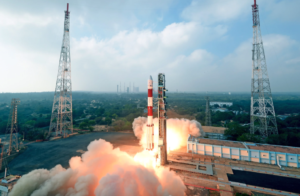 That satellite, Hellas-Sat-4/SaudiGeoSat-1, incorporates improved power, propulsion and electronics systems and advanced manufacturing techniques to reduce costs. 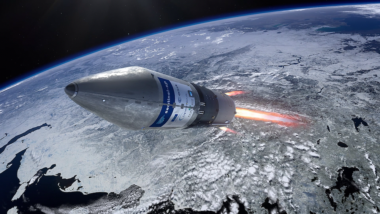 The spacecraft will now go into final assembly and testing, with launch planned for 2018. SpaceX's next launch has slipped a day. 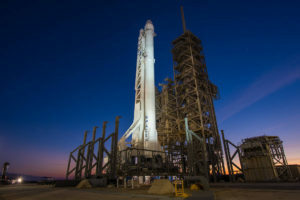 NASA said Wednesday that the Falcon 9 launch of a Dragon cargo spacecraft to the International Space Station had been delayed from Sunday to Monday at 12:31 p.m. Eastern. Weather has caused a one-day delay in the launch of a Japanese navigation satellite. 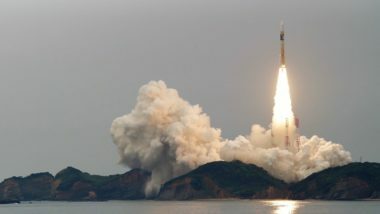 The Japanese space agency JAXA said the launch of its third Michibiki satellite has been postponed one day to Friday because of poor weather at the launch site. 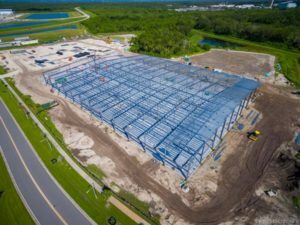 OneWeb's satellite factory is quickly taking shape in Florida. The manufacturing plant, located just outside the gates of the Kennedy Space Center and near Blue Origin's New Glenn factory, will be used to produce the bulk of the company's initial constellation of 900 broadband communications satellites. SES plans to launch its SES-11 satellite, also known as EchoStar 105, as soon as late September from Cape Canaveral. 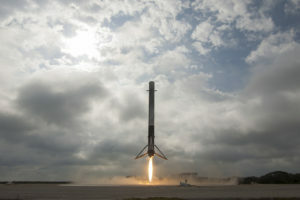 The first stage that will be used on launch is likely the Falcon 9 that first flew in February to send a Dragon cargo spacecraft to the International Space Station. 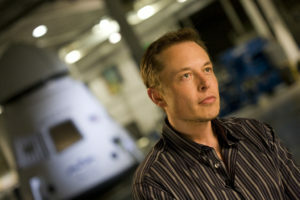 A recent funding round for SpaceX has made Elon Musk several billion dollars richer. SpaceX raised $351 million last month in a funding round that increased the company's valuation to more than $21 billion. That, in turn, increased Musk's net worth by $4 billion. 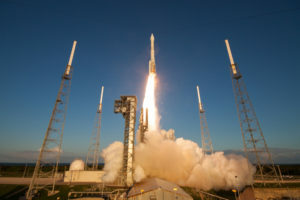 The U.S. Air Force has delayed until next year the launch of two satellites originally scheduled for this fall. 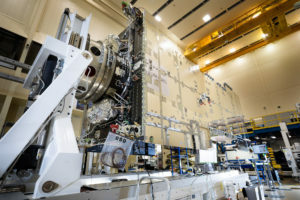 AEHF-4 is being postponed because of a problem with a power regulator unit on the satellite, while SBIRS GEO-4 is being delayed as the result of a "SBIRS program prioritization decision." 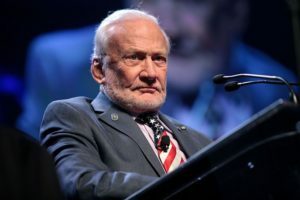 In an op-ed, the Apollo 11 moonwalker said the International Space Station, Space Launch System and Orion were "eating up every piece of the NASA budget" and preventing the agency from doing anything serious about human Mars exploration. An unnamed senior defense official said that, in the event of a conflict with an adversary like China, the Navy and Army will need to cooperate using simple, low-bandwidth communications. 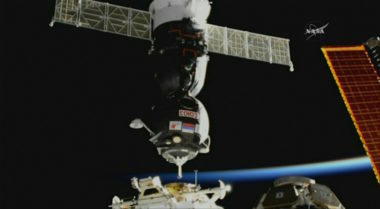 A Soyuz spacecraft delivered three new crew members to the International Space Station Friday. The crew consists of Russian cosmonaut Sergey Ryazanskiy, American astronaut Randy Bresnik and Italian astronaut Paolo Nespoli. 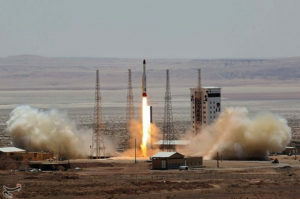 A Simorgh rocket, reportedly based on North Korea's Unha vehicle, launched from a new facility, the Imam Khomeini Space Center in Iran. 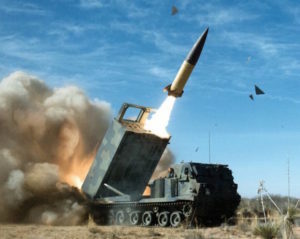 The U.S. government criticized the launch, saying it violated a U.N. Security Council resolution that called on Iran to not develop ballistic missile technology. 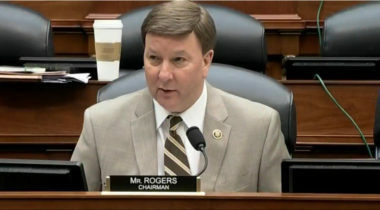 The House Rules Committee did not accept an amendment submitted by Rep. Scott Perry (R-Pa.) for a defense appropriations bill that would have blocked the Air Force from spending any money creating a Space Corps. NASA successfully tested an engine with a new computer that will be used on the Space Launch System. 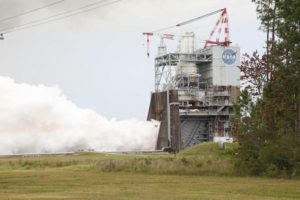 The static-fire test of the RS-25 engine, which took place at the Stennis Space Center, was the third such test of a new flight controller intended for use on the SLS. 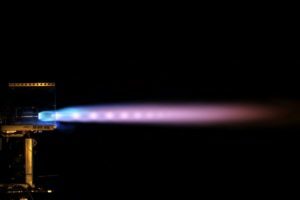 Doug Jones, formerly chief test engineer at XCOR, will be the director of propulsion systems at Deep Space Industries, a company developing small satellites and other technologies needed for asteroid mining.